Two-sentence summary: Genderqueer witch Z feels like a loner thanks to their new status as a zombie. After teaming up with unregistered werewolf Aysel, the two team up to combat the hostility against them in their town of Salem, Oregon. Portrayal of LGBTQ issues: Out of Salem features a genderqueer protagonist named Z who deals with misgendering and dead-naming (which is kind of clever, considering that they’re a zombie). Z seems to use this term interchangeably with non-binary and use they/them pronouns. 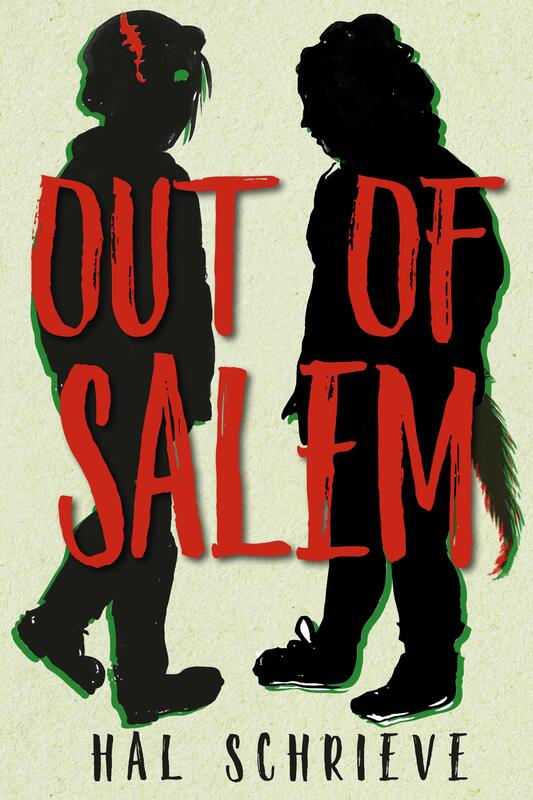 This book also includes a Muslim lesbian werewolf main character, and the interplay between these identities made the book a lot richer than some speculative fiction stories. What I liked: I thought that the social commentary about LGBT discrimination via how these “monsters” are treated was a pretty unique concept. The queer representation was also very complex and well-written, especially the relationship between Z and Aysel. While there aren’t any major romances in this book, the friendship between this two is so authentic and uplifting for each other. Watching them learn to respect and genuinely care for each other through shared hardships is one of the best parts of Out of Salem. It makes the book feel so real for a story about zombies and werewolves. The one complaint I had was that the writing felt a bit stiff, and that made it hard for me to engage with the story as much as I wanted to. It was an innovative idea, but it didn’t always translate over well into words (in my opinion). But that being said, this seems to be the author’s debut novel and even without that taken into consideration, it was still an enjoyable read. Recommended: This was a pretty new concept for queer YA, especially within non-binary representation. I would recommend it to anyone looking for a spooky, gay read. Perfect book to get your Halloween fix any time of the year! Note: I was given an ARC in exchange for a fair review. Two-sentence summary: Libby, a teenager in rural Tennessee, is raised in a conservative Christian sect that views people as quivers in “God’s righteous army” and women as strictly homemakers. When she befriends a genderfluid teen named Zo, she struggles to reconcile her beliefs with her friend’s lifestyle and freedom. Portrayal of LGBTQ issues: This story features a genderfluid character named Zo who has two loving, pro-LGBTQ parents in a conservative, rural town. Quiver also discusses their sexual orientation and conflict between belonging in the lesbian community while feeling like something other than a cis woman. One of the secondary characters is also a POC trans girl. What I loved: Quiver is told with a dual narrative between Libby and Zo, two teenagers who grow up in nearly opposite living environments. In this way, Quiver sends an overall message of compassion and understanding one’s upbringing, even if it’s not the same as your own. At times, I did feel like it leaned a little more sympathetic to Zo’s story than Libby’s and painted Christianity in a somewhat stereotypical light. But it also reflected the mindset of a lot of conservative religious groups and the difficulty groups on polarized social beliefs can have with befriending each other. It feels like this book could be useful to help teens who grew up in strongly right- or left-leaning households understand people who don’t think in ways they’re used to. By having a narrator they can relate to and another with a possibly unfamiliar voice, it could expose them to other ways of thinking without pushing them far out of their comfort zone. Both Libby and Zo are incredibly sympathetic characters who help bridge anger and misconceptions their families have of each other, and I think that’s a beautiful message to send in such a politically fiery climate. The only issue I had with this one is that I felt the writing style was a little stilted. Libby and Zo’s voices also weren’t as distinct as they could have been, so sometimes I’d forget that the chapter had changed and gotten confused about the narration. Because of that, I had a hard time really immersing myself in the story like I wanted to. But the concept itself is fascinating enough that becomes a compelling read, regardless. 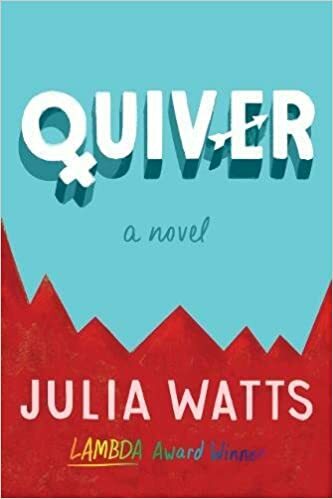 Recommended: Quiver is one of those LGBTQ YA books that humanizes both left-wing and conservative right viewpoints in the idea that most people are just trying to do the right thing. If you want to cultivate empathy for a perspective different from your own, this could be a powerful read. Note: I received an ARC copy in exchange for a fair review. 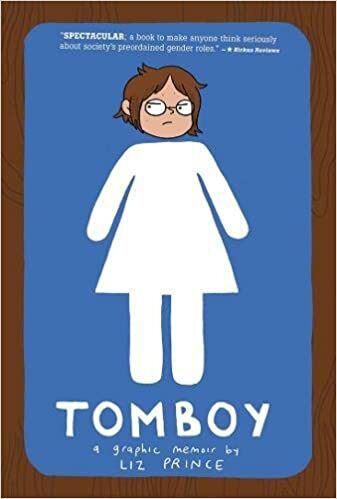 Two-sentence summary: Adventure Time artist and webcomic writer Liz Prince explores what being a girl meant for her growing up as a staunch tomboy, which she saw as someplace in between masculine and feminine. As Prince navigates her adolescence as a middle and high schooler, she pushes gender expectations aside and finds meaning in her tomboy identity. What I loved: As a trans guy, this novel was fascinating for me to read. So many of Prince’s growing up experiences matched my own—like me, she also would consider it a compliment when strangers saw her as male, she felt most comfortable while wearing men’s clothes, and as a child, she hoped that she would eventually become a man. Yet she does not seem to identify as transgender but instead as a woman who defies gender expectations. I thought about this, wondering if I could have found solace as a “tomboy” in the same way, but I don’t think I could have. But you know, that’s okay. I think both of our perspectives are valid. It goes to show how diverse and personal gender identity can be and how important it is to define that for yourself. Gender can be as complex or as simple as you make it to be, and there’s enough room in this world for cis men and women, tomboys, trans folk, and everyone else on that spectrum to find self-actualization. If you want to think a little more about your own relationship with gender, you might find this book a good starting point. I’ll have to keep an eye out for more of Liz Prince’s books. She’s got a perspective that I can relate to but how she processes it is different enough that I’m able to learn from her. Her take on gender goes beyond both traditionalist and more liberal perspectives, and she defines her gender identity in an individualistic way that everyone could learn from. Recommended: If you like graphic memoirs, which I am personally a big fan of, you might find this one both humorous and heartfelt. I haven’t read Prince’s book on her long-term relationship, Will You Still Love Me if I Wet the Bed?, but sure want to now. And, y’know, if you were a tomboy growing up (or still are) … this one might be a little cathartic for ya. All in all, highly recommended!